A fan of working with readymade objects, Koons reimagined Seated Ballerina from a porcelain figurine of a ballerina found in a Russian factory at the turn of the 20th century. 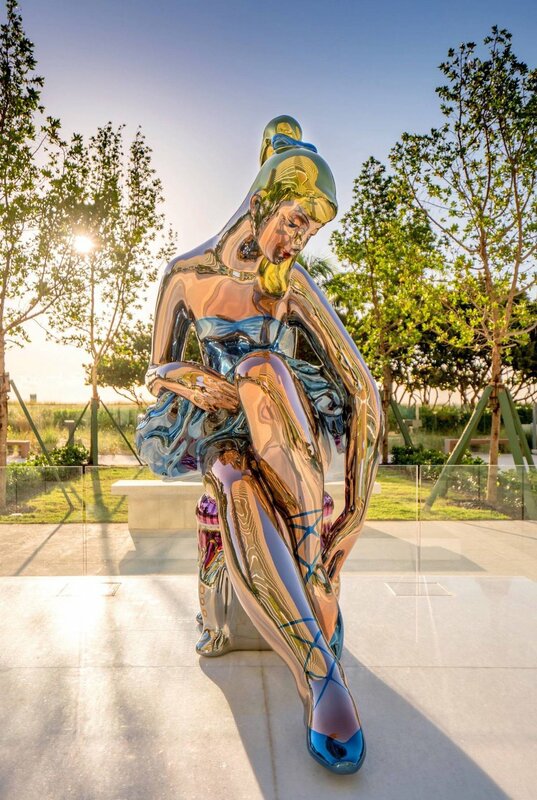 The nearly 7-foot sculpture is one of two Koons sculptures purchased by CEO of Consultatio Real Estate and founder of the Museo de Arte Latinoamericano de Buenos Aires (MALBA), Eduardo Costantini, for the residents of Oceana Bal Harbour. After its unveiling in MALBA, Costantini’s Latin American modern art museum in Buenos Aires, Seated Ballerina now permanently resides at Oceana Bal Harbour. The sculpture is from Jeff Koons’s Antiquity series, which began in 2008, and joins the other Koons’s sculpture, Pluto and Proserpina, along with 10 other museum-quality artworks in the building’s two palatial lobbies, which are an integral part of the residents’ personal art collection, as their ownership will belong to the Oceana Bal Harbour residents.